When you first create the blog post topic, you will need to refresh the page to see the main image appear above the content. This only happens right after it is posted and only for the author of the topic. The main image must be large enough to lightbox and should be added to the very beginning of the topic. Make sure you have factored in both of the above points. By default, an image must be over 690px wide to trigger lightboxing. Please let me know if you still experience an issue. Having it working in sub-categories would be great indeed. Thanks again for your work @tshenry! The first post is displayed as needed, but all subsequent ones I have only a title. The text of the post is not. What could be the problem? Ok, I’m fairly confident I know what’s going on. You will not see the “No image” text once you’ve submitted the post, but the rest of the content will display normally. I can look into a cleaner way of allowing text-only blog posts at some point, but for now, the workaround outlined above should be sufficient. It is strange that the first message in the news section is initially displayed normally. it doesn’t work great with the disco Toc theme. while a TOC for a blog post would be great. the TOC in this theme, has a large font and is positioned badly. I pushed some CSS rules that will be applied if both DiscoTOC and Blog Post Styling are in use, so that should be in a better place now. Let me know if there are any issues with the layout after you update the component. Can you post a screen shot. I’m not quite sure what this is referring to. I tried using emoji within the post and everything seemed fine. Edit: I didn’t have as much time this week to work on this. With that said, I think I’ve got a decent solution for multiple categories working. I need to do a little more more testing, and clean up the code after trying many different approaches, but it’s looking like it should be ready early next week. adding “No image” doesn’t work either. I’m sure it’s with the CSS, but not to good with the CSS yet. Ah yeah, I haven’t tested this against any #theme-full themes. For now, I’m focusing on the default theme of Discourse. Different color schemes should work fine, too. I’m not sure if/when that will change, so if you do happen to fork this component and get it working with Vincent, please share! This component now supports multiple categories! You’re a real MVP! 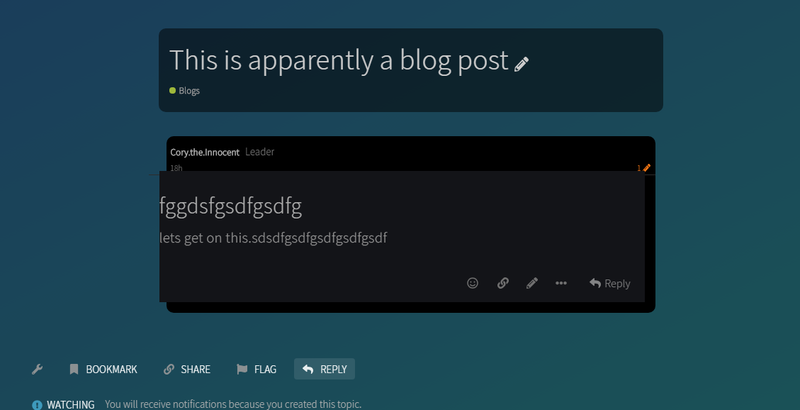 Thanks for doing the work; plugin and theme devs like you really rock Discourse customization. Somehow my blog images have vanished, the <div class="blog-image-container"> is empty, even though the pictures are big enough. Any ideas? Thanks! If you still have issues after all that, then it might be easiest to send me one of the images you are trying to use so I can see if there’s any way I can reproduce it. thanks for conceiving and maintaining this theme component. While trying to install it on https://community.hiveeyes.org/, we haven’t been able to make it work on nested categories. For example, the component has not been activated on category slugs like usage/handbooks. Does that make sense to you or did we make any configuration error? I hadn’t gotten around to testing subcategories. I expected there might be something more I had to tweak to get it to work, but it looks like it’s working fine. With that said please make sure to report any issues you run across. Strangely the first paragraph of the post is hidden after I activate the style. it’s because of line 207 of the code. Should it be like that? I mean should one add a hidden first paragraph to all the blog posts? with this style of the first image, what are the best size or best aspect ratio for an image of the post in this style? I put the snapshot at the end of the first post, so that one can see both the positioning of the TOC relative to the first post, and the reply styles. See this post. The component expects an image as the first part of the post. When the post is cooked, the image is wrapped in a paragraph tag. It’s hidden since we want to display the image above the post rather than within it. Since the <p> tag comes with margins that will throw off the styling, targeting the image element alone doesn’t work. There may end up be a better way to handle it, but for right now this is the way it works. The height of the blog image container is 440px and the width is 100% of the main container. The image is centered within the available space, so if your image has 500px height, 30px will be cropped from the top, and 30px from the bottom. 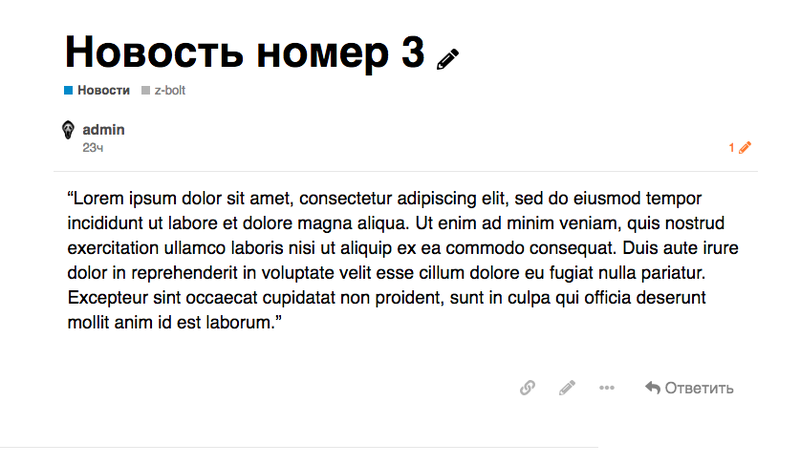 Horizontal cropping starts at 1100px (the max-width of the main content on a Discourse site) and will increase as the window narrows. The ideal scenario is to use an image that either has a centralized subject, or one that has a generalized subject such as a pattern or a nature shot like the one I show in my example. Thanks for pointing this one out! I also need to fix the alignment of post actions. That certainly is a mess. I had not tested the DiscoTOC CSS against rtl, but I can look into it a bit more when I get a chance.